Classic Menu for Office 2010 Starter 32bit is a product developed by Addintools. We know of version 2.0. Version 2.0 is available for download at our site. Classic Menu for Office 2010 Starter 32bit installation file has a size of 7,999,562 bytes. 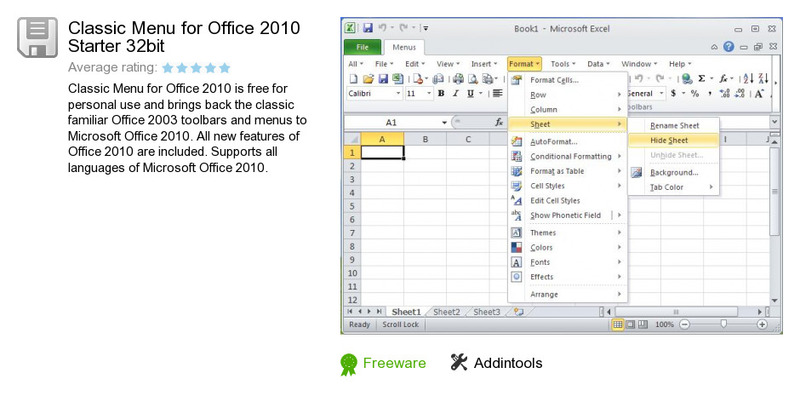 Addintools also publishes Classic Menu for Office 2010 and 2013 and Classic Menu for Office Enterprise 2010 and 2013.